It may seem a little early to be talking about Christmas, much less Christmas lights, but not for lighting retailer 1000Bulbs.com. Companies, municipalities, and homeowners alike are all currently stocking up on Christmas lights. They are taking advantage of great pre-season pricing while securing the lights they need before they become difficult to find and match later in the year. Buying Christmas lights early and in bulk is necessary to ensure they are consistent in color and quality. Although purchasing only one or two string lights at a time may seem more cost-efficient, there’s no guarantee the same lights will be available when they are needed closer to Christmas. Moreover, the performance and color characteristics of lights can vary not only between manufacturers, but also from generation to generation. While this is true for all lights, this is especially important for LED lights. When manufacturers make LEDs, they typically sort the individual diodes into separate bins grouped by color and brightness. This is called binning. Because binning requirements can change between seasons, it’s easy to end up with mismatched LED string lights. But when all LEDs are purchased at the same time, the lights are more likely to be of the same caliber. Not to mention it’s less likely for consumers to purchase lights with the wrong bulb type, string length, or spacing if they order all their lights at once. Each year the demand for Christmas lights increases as more homes and businesses choose to use the lights to celebrate holidays and for general decoration. 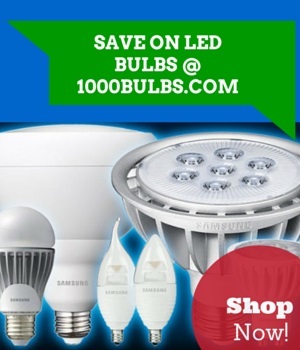 1000Bulbs.com has made a significant investment to address this growing demand, especially among its selection of LED mini string lights, C7 and C9 bulbs, and LED C9 string lights. Everyday Account Managers work with new and existing customers to answer questions and provide product recommendations across the wide array of Christmas lights available on the site. These are just a few reasons the company anticipates seeing a 40% growth in their Christmas category this season, and why they are already well prepared to meet consumer needs. About 1000Bulbs.com: 1000Bulbs.com is an award-winning Internet-based lighting retailer. The company offers everything from simple, household light bulbs to cutting-edge specialty lighting systems. Nationally recognized for growth, innovation, and customer satisfaction, 1000Bulbs.com is an influential force in the lighting industry. Follow @1000Bulbs on Twitter for the latest company announcements. Feel free to leave a comment or reach out to us on Facebook, Twitter, Pinterest, LinkedIn or Google Plus!